We received gift bags and a Free Shoe Voucher for attending. However, all opinions and excitement are our own. 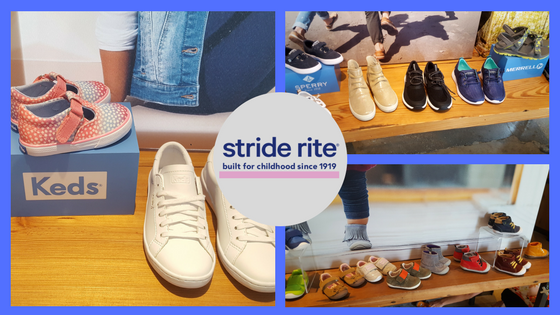 Gabs and I were invited to check out Stride Rite's new launches of innovative shoes and fun styles that will be launching this fall and all I have to say is, OH M Gee! 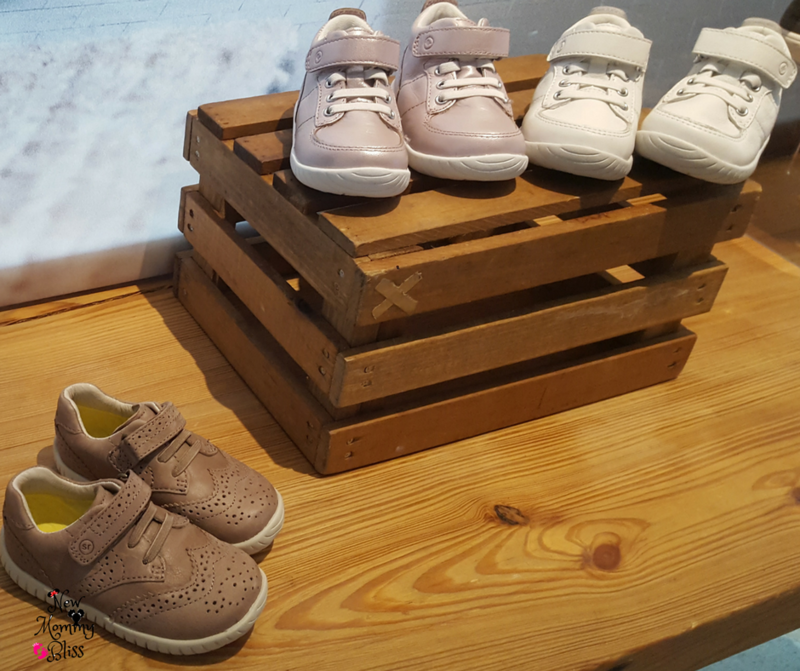 Between all the new colors and new versions of some shoes we already love and brand new shoes for first-time walkers, Everyone is sure to find the right pairs for their minis. When it comes to fashion, my daughter seems to be a pro. She knows what she likes and how to style her wardrobe. However, she's still 4 so it's no surprise that the first pair of shoes she geared towards were the Emoji Phibians! The Phibians are the PERFECT shoes for water play in the summer. Gabriella wore her Phibians to every single day of summer day camp last year. They were perfect for running through the sprinklers without needing an extra pair to change into afterwards. 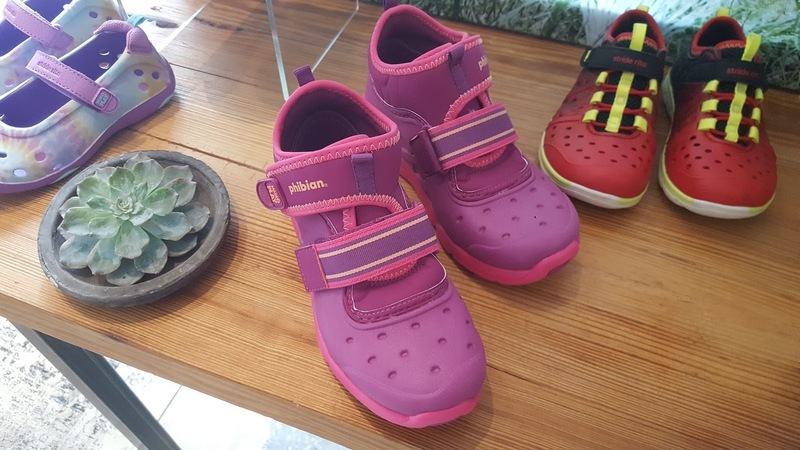 Now, Stride Rite has re-invented the phibians and created a cool Mid rise version that is more versatile for wear throughout the year, while still having the EVA upper material, Quick Dry, secure closure and all else you find in the regular Phibians. Another fun revamp of a previous style was the Snoot 2.0! If you say our last posts on the Snoot, then you know we are super fans of the compactable, 200 gram insulated, washable, winter boot. The New Super Snoot. Built with a better Robust shell for more active play, as well as the BEST FEATURE EVER.... 100% Waterproof! Yup. W-A-T-E-R-P-R-O-O-F! I can't wait to get these for my little active girl. Her feet will stay nice, warm, and completely dry when sledding down the snowy "mountains". 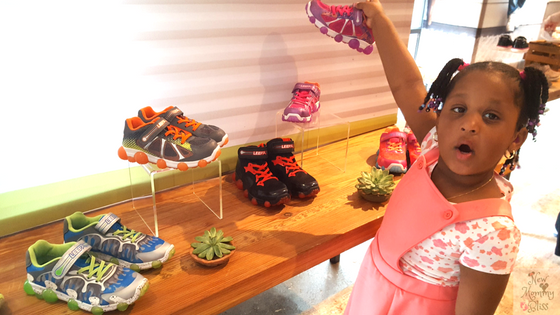 We talked about Leepz before, but now Stride Rite is bringing on an all-new Hi-Top style. Still activated by light-up technology in every step. Also coming out are some new looks that mimic Mom & Dad's own workout sneakers, but still being everything we love about the Leepz. The true reason for this event was to give us a preview of the reimagined Baby Bootie that our parents and grandparents would buy for our precious little feet when we were learning to walk. If you didn't know, Stride Rite introduced its first children's shoe in 1919. However, it wasn't until 1931 that the first baby bootie on record (Babies' Flexibles) debuted. 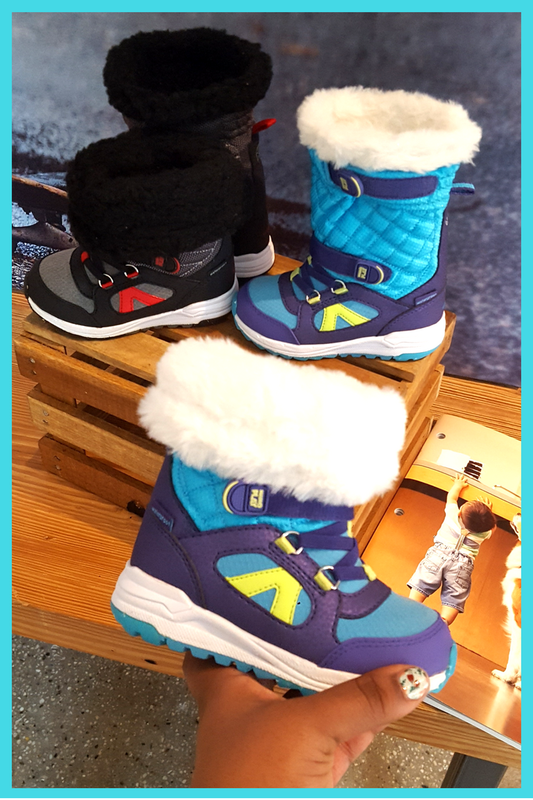 Fast forward to 2017 where Stride Rite reinvented the Baby Bootie with hook & loop straps and sensory soles to bring us the ultra comfy and super cute SRtech™ "Bailey"! Out of all these Awesome shoes, which one's your favorite? These shoes are beyond adorable! I love that kids can show their fashion style with bright colors. I am going to miss my stride rite. All of the stores closed by me and it's so sad. I like being able to go into the store vs online. How cute! 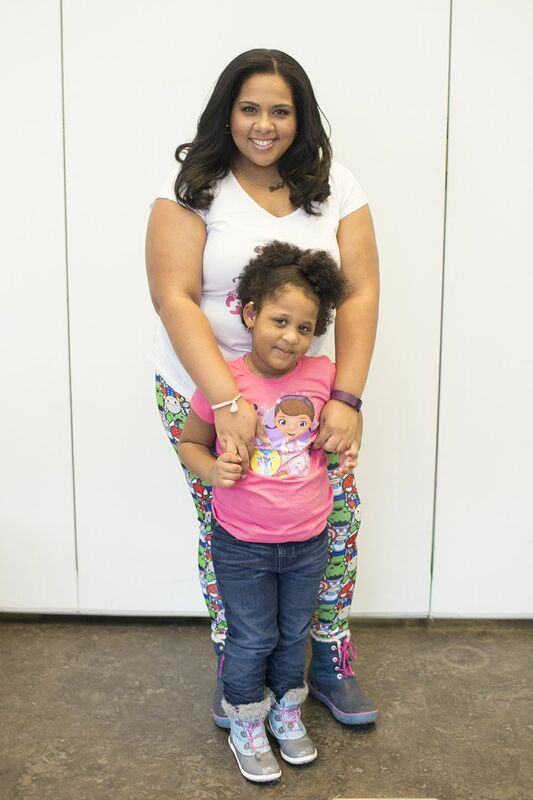 We love Stride Rite shoes! They always hold up so well! I love all of these new styles! Thanks for introducing me to a new store! 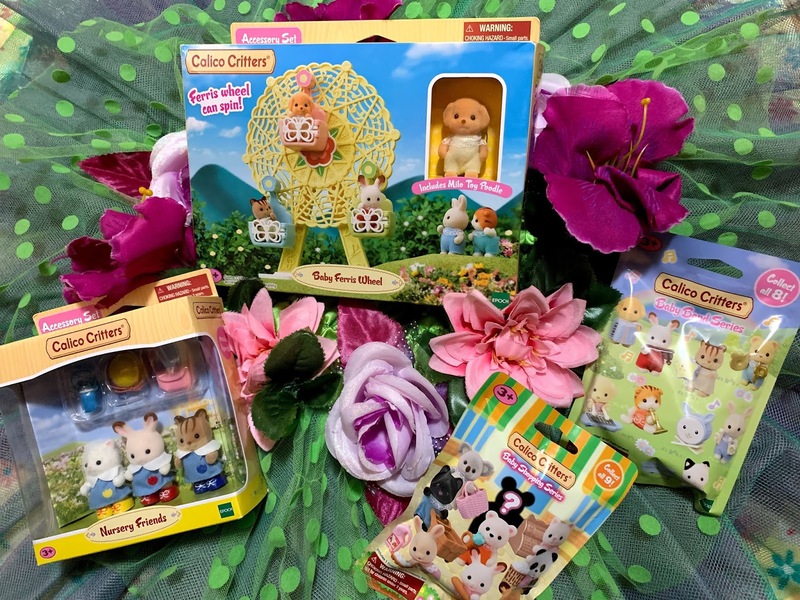 My nieces would love the Phibians and it's so perfect for summer. Wow, these are some super stylish kicks! I would totally wear that emoji pair myself. OMG, those are so cute! I love the emoji shoes. They are the best! When the kids were younger, they always wore Stride Rite. Their shoes may cost a bit more, but you get what you pay for. They are so well made. These shoes look comfortable and I love the designs. 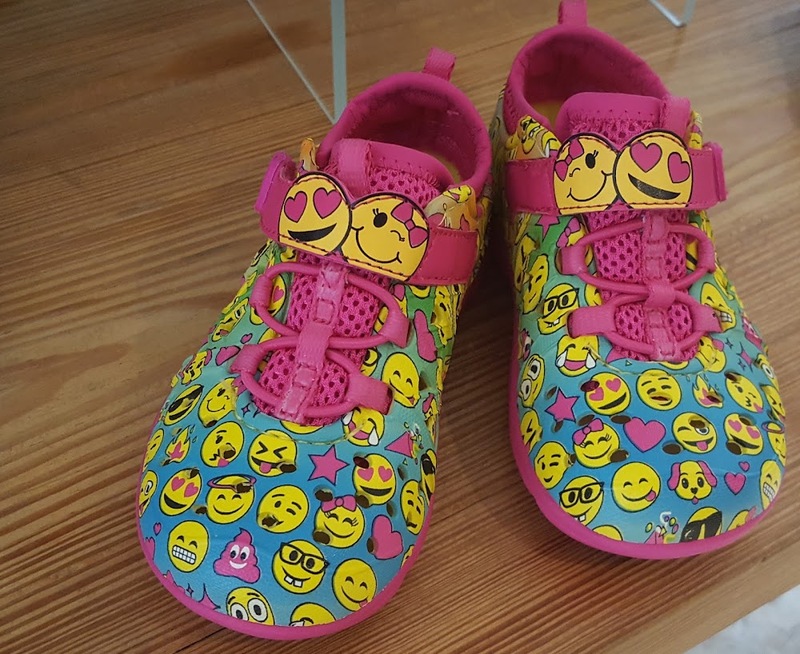 I would love the emoji shoes for my granddaughters. My favorite pair would have to be the little boots. There are so many different unique options. Those shoes are crazy adorable! I need to order some for my kiddos! So many fun designs to choose from. They do have the cutest shoes. I always having a hard time trying to decide what to get the grandkids because they are all just so darling. Stride Rite is such a great brand of shoe! I love all of these awesome new designs. 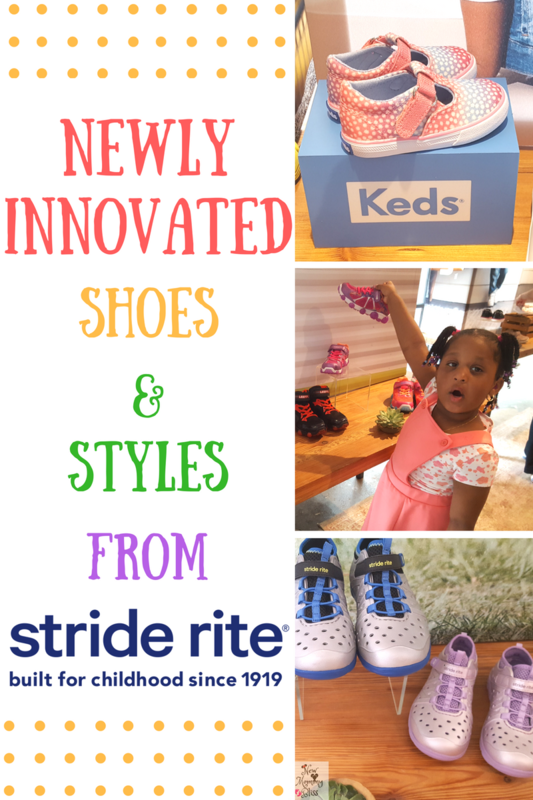 Stride Rite makes the cutest shoes for toddlers! I'd have to say that my favorite is the lilac pair, especially since I know that my daughter would love to have these shoes. She loves any shade of purple!